How can I get a single image from a camera (e.g. a built-in webcam in a notebook) with Python? I'm looking for a library that makes this possible in a few lines of code (I'm not looking to write a camera driver or anything like that). The image should be in some standard bitmap format. Although the lighting situation did not change, the Python image is much darker. I'm not sure why that is the case. 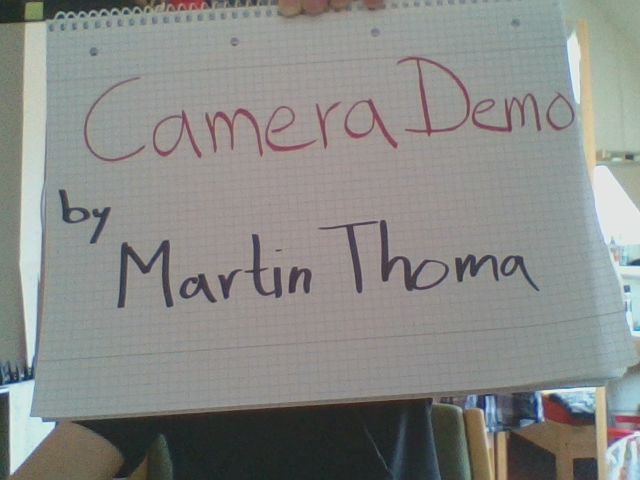 i just modified the @Martin Thoma Code. to resolve the black screen problem. i hope it'll be help. thank you. This answer is partially taken from https://stackoverflow.com/a/11094891/562769 - thanks Froyo! Thanks to Phani for helping me to improve it. I would cut this problem into two pieces. I hope you use an operating system like linux which has a command line. To solve the black screen problem, let the cam warms up. Not the answer you're looking for? Browse other questions tagged library python webcam or ask your own question. Python library for unpacking UPX-packed binaries? Graphing or charting library that approximates Excel's capabilities?